Fiona Avery is an award-winning writer of television shows and comics. The Crown Rose, a historical fantasy, is her first novel. Learn more at Fiona Avery‘s website. The Crown Rose: Where’s the “ripping philosophical discourse”? 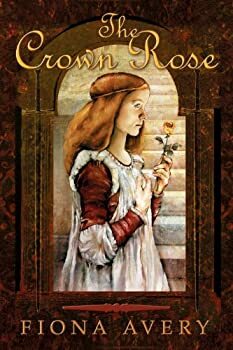 Fiona Avery’s The Crown Rose is a historical fantasy — it places real historical figures in a real historical setting but it includes fantastic elements (magic, sorcery, etc.). In this novel, we follow the story of Princess Isabelle, Queen Mother Blanche, King Louis, Prince Robert, and Prince Charles in 13th century France. The royals are protected and advised by the Order of the Rose, a mysterious trio of women with supernatural powers and unknown origins. Ms Avery’s “good” characters are charming and her premise is interesting. The novel, which is full of biblical truths, displays of saintly behavior, and excellent distinctions between pharisaical and real righteous behavior, actually feels like a Christian fantasy (well, up until the very end when the Last-Temptation-of-Christ-style heresy is revealed).